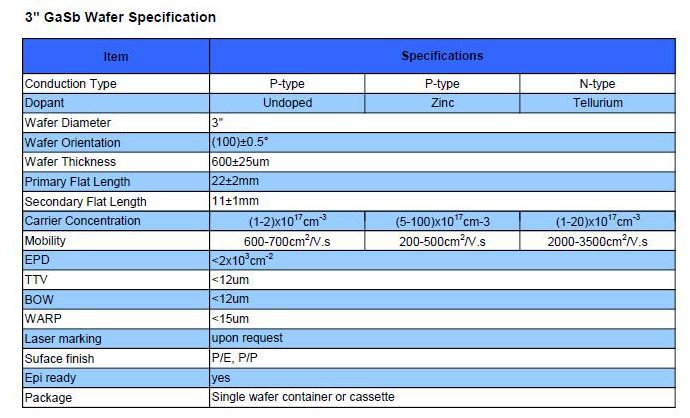 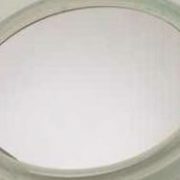 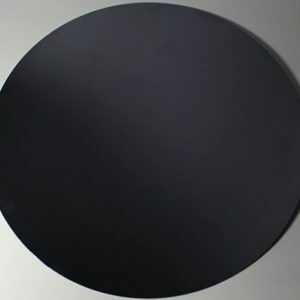 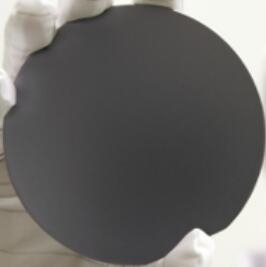 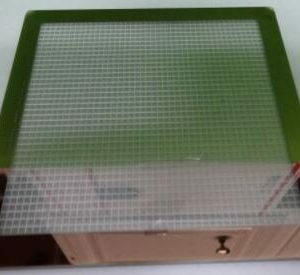 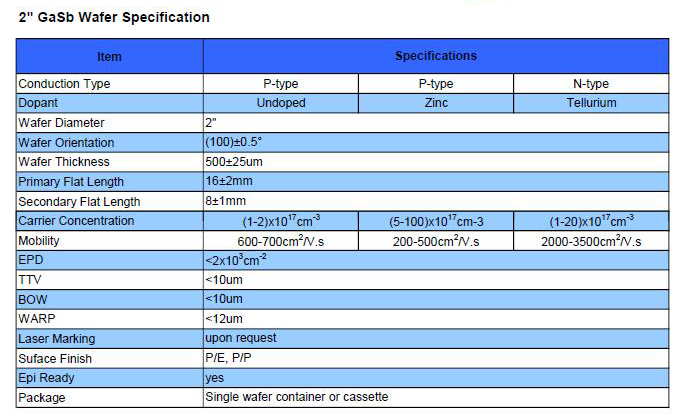 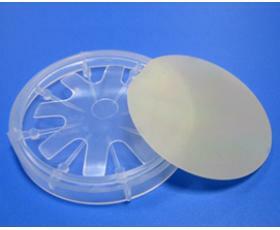 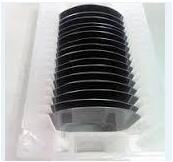 PAM-XIAMEN offers GaSb wafer – gallium antimonide which are grown by LEC(Liquid Encapsulated Czochralski) as epi-ready or mechanical grade with n type, p type or semi-insulating in different orientation(111)or(100). 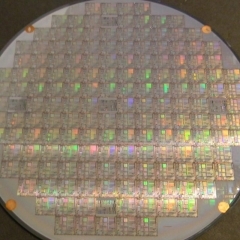 Gallium antimonide (GaSb) is a semiconducting compound of gallium and antimony of the III-V family.It has a lattice constant of about 0.61 nm. 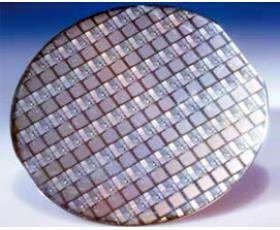 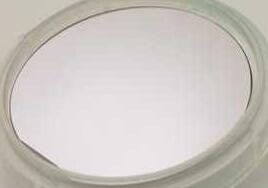 GaSb can be used for Infrared detectors,infrared LEDs and lasers and transistors, and thermophotovoltaic systems. 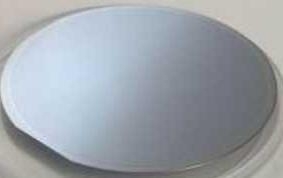 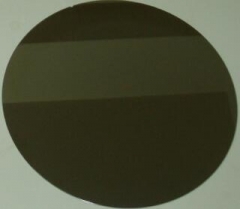 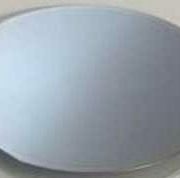 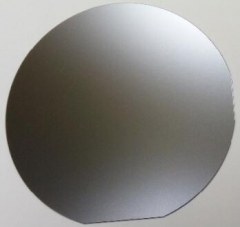 Gallium Antimonide (GaSb) can be supplied as wafers with as-cut, etched or polished finishes and are available in a wide range of carrier concentration, diameter and thickness. 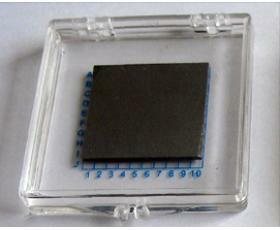 GaSb material presents interesting properties for single junction thermophotovoltaic (TPV) devices. 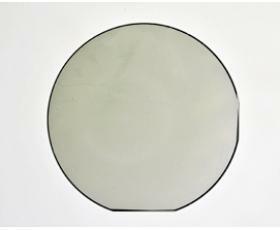 GaSb: Te single crystal grown with Czochralski (Cz) or modified Czo- chralski (Mo-Cz) methods are presented and the problem of Te homogeneity discussed. 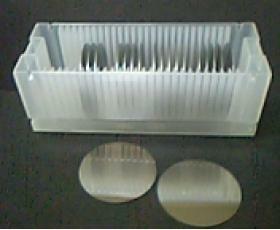 As the carrier mobility is one of the key points for the bulk crystal, Hall measurements are carried out. 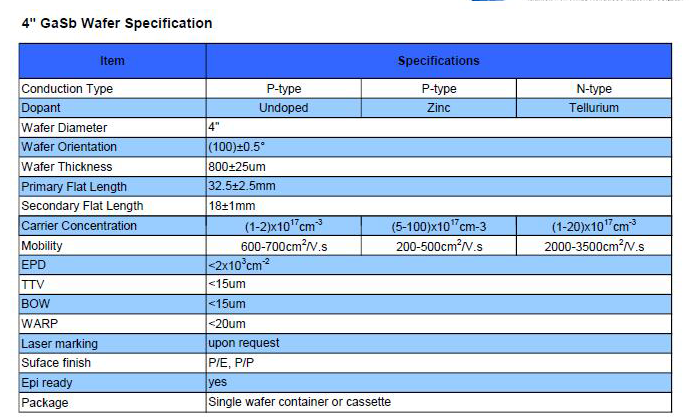 We present here some complementary developments based on the material processing point of view: the bulk crystal growth, the wafer preparation, and the wafer etching. 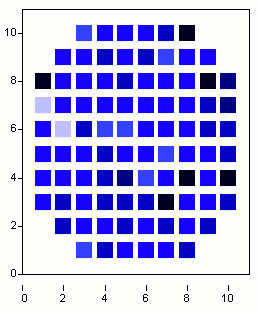 Subsequent steps after these are related to the p / no r n/p junction elaboration. 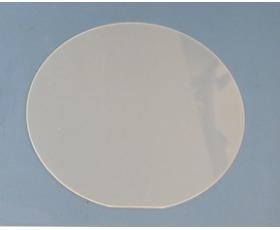 Some results obtained for different thin-layer elaboration approaches are presented. So from the simple vapor phase diffusion process or the liquid phase epitaxy process up to the metal organic chemical vapor deposition process we report some material specificity.